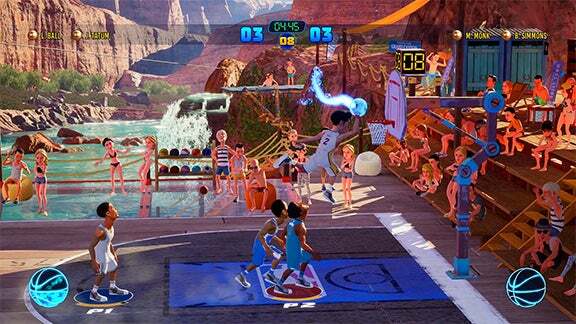 NBA 2K’s Playgrounds 2 is the G-rated second edition of the recently created Playgrounds series, developed and released by 2K Games in 2018. 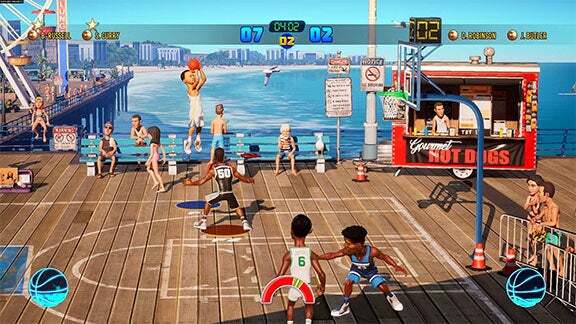 The core elements of the game consist of dynamic 2v2 arcade-style basketball, with Playgrounds 2 adding 3-point shooting contests, improved matchmaking, a massive 400 player roster of both active and retired NBA stars and much more, writes Tom Doyle. Playgrounds 2 made sure to add depth and more features in the new instalment, as it shows the effort that 2K has put into the game, with it boasting new dedicated and efficient servers, a fresh variety of playgrounds (locations inc. the Australian Outback, Seoul and more), custom matches and four-player online games. Watch below to see the new modes and gameplay on offer! Despite 2K’s debut Playgrounds having success in the open market, they and the fans knew the second instalment had to improve on the lacking qualities of the predecessor. One of the few concepts that was mediocre included the shallowness of the modes, with Playgrounds 1 offering good quality street-ball gameplay to players but not much in terms of development of play and variety of game modes. 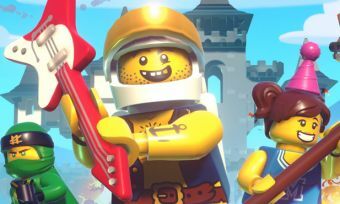 The sequel Playgrounds 2 has shown that they have learnt from these mistakes, with increased depth and a brand new championship ranked mode, making it a more engaging game and catering for the solo players looking for a campaign-like mode. With the added emphasis on solo gameplay, 2K still hasn’t forgotten about multiplayer gaming with online matchmaking being a major improvement in the new chapter of Playgrounds. Seasons are now a new addition to Playgrounds 2, as you and your friends can co-op the team yourselves and play together as you fight your way to the top seed of your conference. Lack of incentives was one limited quality in the predecessor of the Playgrounds series, as it caused it to be a fun game to play with mates but not much else for long-term gaming. Playgrounds 2 has changed this growing belief, as it has substantially improved incentives including new diverse player packs and collectable legend players. They have also made it a lot easier to play the game without having to use micro-transactions for better players, packs etc, something that was nearly a given in Playgrounds 1. The expanded roster seen in Playgrounds 2 is something both NBA and 2K fans have been wishing for, as the new list boasts 400+ of the most talented and recognised NBA players to ever play the game. New players include the young guns Ben Simmons, Jayson Tatum and Karl-Anthony Towns while Playgrounds 2 finally adds new legends to the game such as the ‘G.O.A.T’ Michael Jordan, Julius ‘Dr. J’ Erving and the ‘Black Mamba’, Kobe Bryant. New signature animations and player models are another element of Playground 2’s improvements surrounding the game, as you can watch and play along with your favourite NBA stars as they do their mesmerising signature style dunks, crossovers and layups in front of your own eyes. Modelling designs on the players were also enhanced in the new edition of Playgrounds, as accurate shaping and more recognisable faces and body shapes help players engage more while also producing fluent gameplay. Watch below to see some signature animations from some of the NBA league’s best in the game! NBA 2K Playgrounds 2 is a well thought over and detailed sequel that embodies everything and more that fans were looking for after the previous instalment in the franchise, with new players, improved graphics, better matchmaking, and other fresh modes and features, this game is a real keeper. NBA 2K Playgrounds 2 is out now at all participating stores.